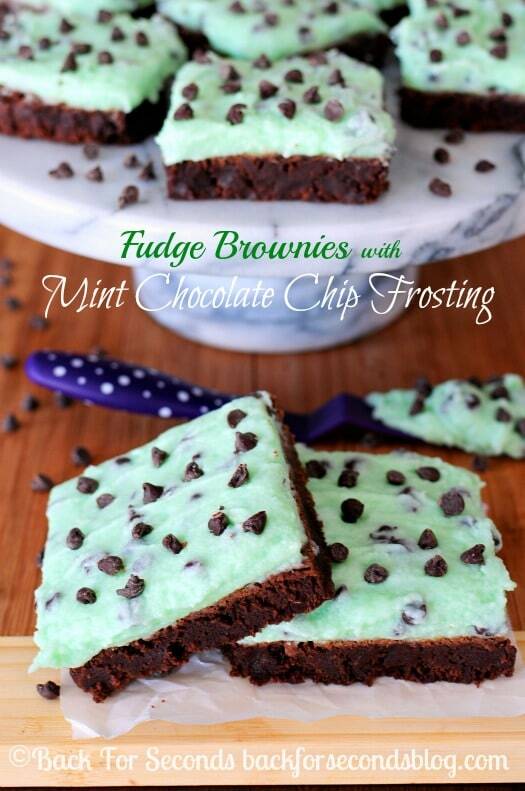 These Fudge Brownies with Mint Chocolate Chip Frosting are one of the best desserts ever! 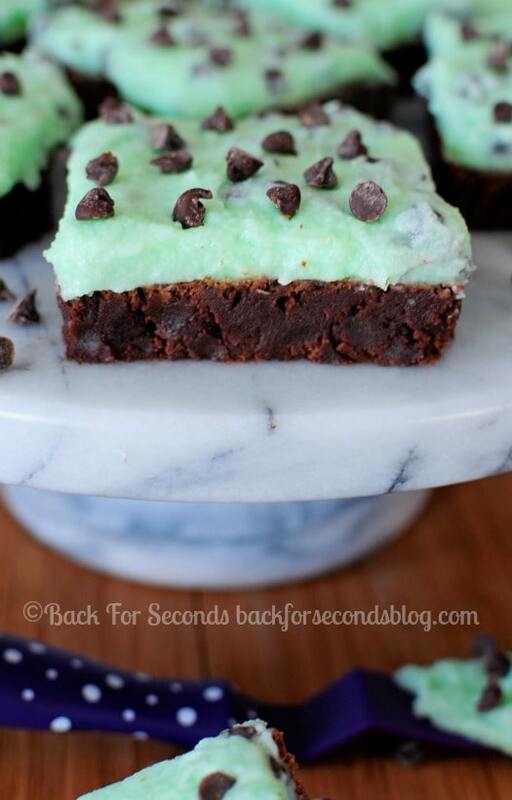 The cool, creamy, minty frosting perfectly compliments the rich, fudgy brownies. This scrumptious recipe is made completely from scratch but it’s honestly super quick and easy to throw together. 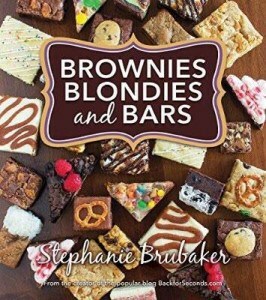 The brownies are made in one bowl – no mixer necessary, and can be mixed up and in the oven in 5 minutes flat. 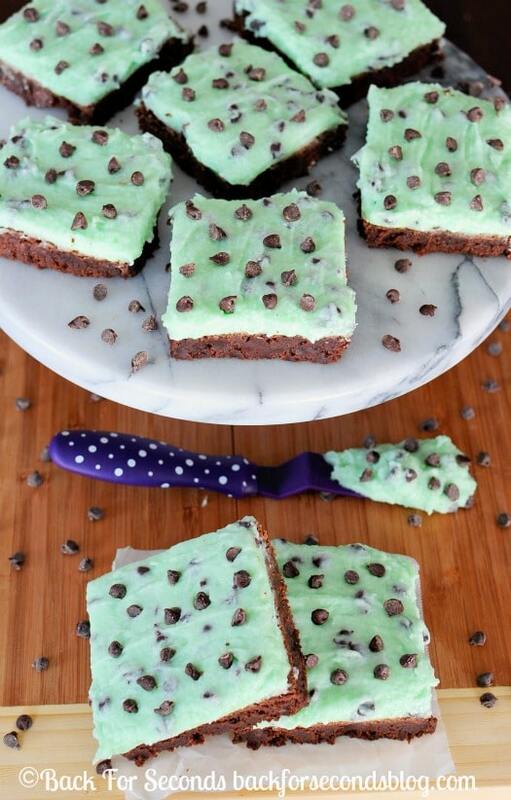 This mint chocolate chip frosting is the best thing that ever happened to brownies. Oh my word is it good!! It is cool and creamy, and minty but not overpowering. I like to eat these straight from the fridge, it really makes the mint pop! 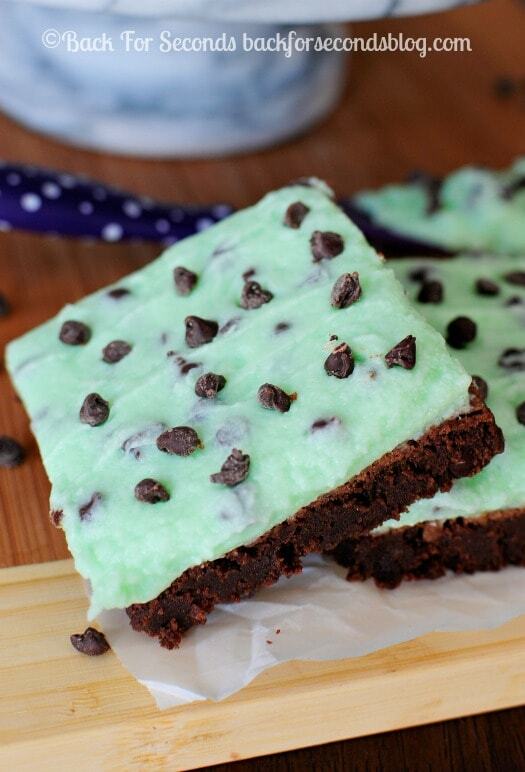 The light, fluffy, mint frosting is the perfect match for these rich, fudgy, chocolate brownies. The crunch from the mini chocolate chips adds another layer of texture that really puts these over the top! It’s really hard to stop after one brownie. I have a few of these in my fridge right now…check with me in a couple hours and that probably will no longer be the case 🙂 This combination of flavors and textures is seriously irresistible!